All Natural Honey - Clover from Patz Maple & Honey Farms is made from unprocessed honey gathered from bees who visit clover flowers. The honey from these bees tends to be lighter in color and is less viscous, meaning it isn’t as sticky and may be easier to spread. 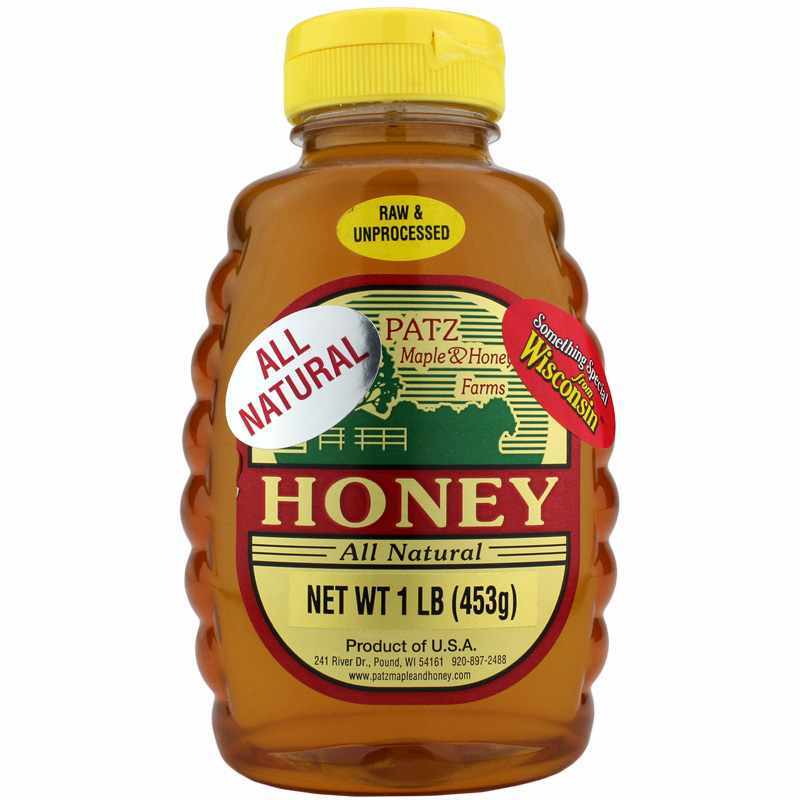 Clover honey is one of the most used honeys on the market, however Patz Maple & Honey Farms honey uses only raw, unprocessed clover honey that may contain calcium, vitamin C, potassium, and zinc. Honey is comprised of sugars and carbohydrates. The primary source of sugars is from fructose, known as fruit sugar, and glucose. The remaining sugars include maltose and sucrose. Honey has many uses in traditional medicine, including for use on the skin, or for temporary relief from occasional coughing. Honey also contains flavonoids and phenolic compounds that may provide antioxidant support and normal cellular development. Many honeys are processed before packaging, which may result in the loss of vitamins and minerals. The unprocessed honey in this bottle is sustainably harvested from bee hives straight to your pantry. Try it for yourself today. 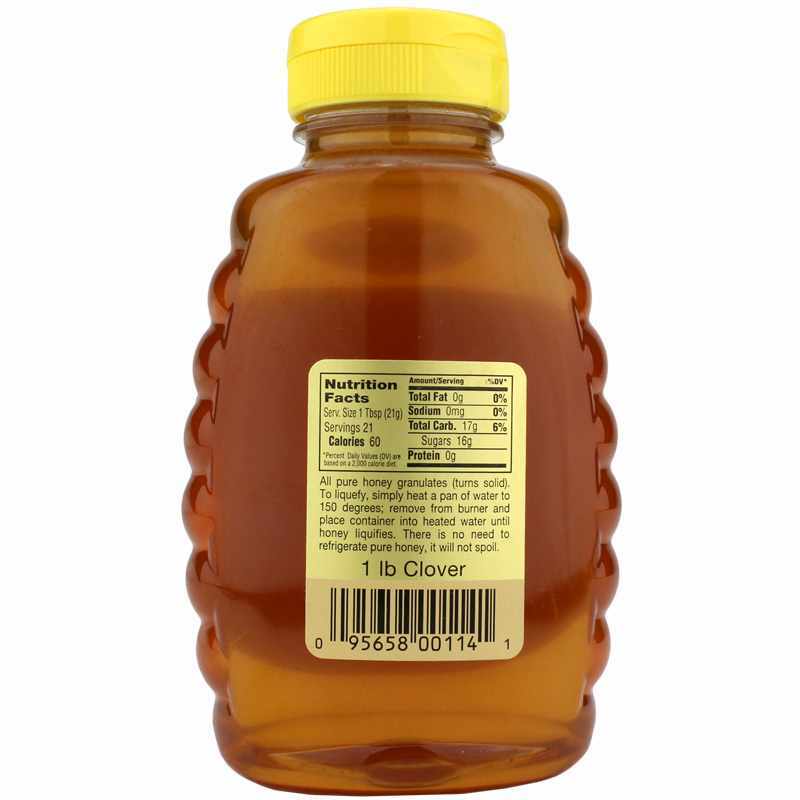 Ingredients: Raw, unprocessed clover honey.